When it comes to creating perfectly seasoned, flavoursome grilled chicken, Executive Chef Sameh Awad Youssef of Holiday Inn Dubai - Al Barsha has a top tip: Knorr Chicken Stock Powder. He chooses this as a seasoning over just salt because it’s made with dried chicken meat, dehydrated vegetable and salt, and provides an authentic and rounded flavour. 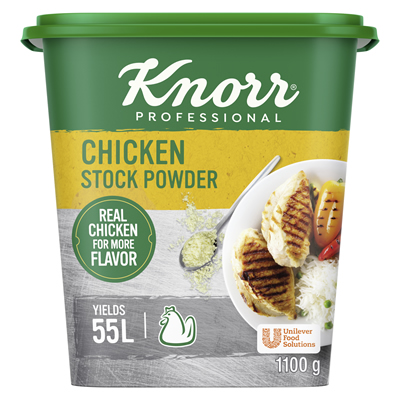 Order your Knorr Chicken Stock Powder now.